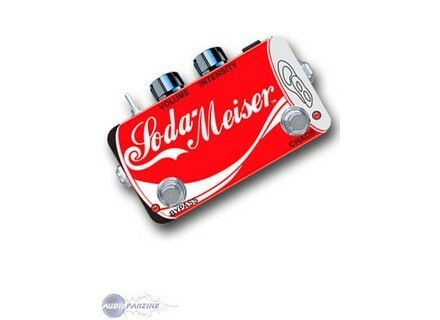 Soda Meiser, Fuzz pedal from OohLaLa Manufacturing. 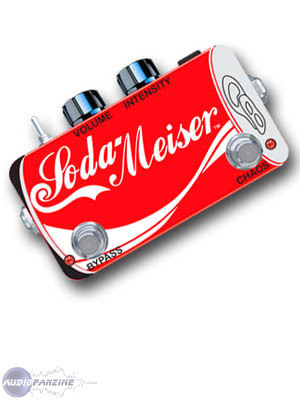 As the 2008 Summer NAMM approaches, let's focus on OohLaLa Manufacturing's Soda Meiser distorsion pedal, one of the brand's new products for 2008. At lower intensities, it is said to deliver a great Big Muff sound with more character; at higher intensities, it becomes a disharmonic fuzz that reminds many of the Ampeg Scrambler. The Soda Meiser's sound has been compared to that of the Smashing Pumpkins and Jeff Buckley. In addition to it's great fuzz sound, there is a second mode that unleashes a unique wild chaos which can be switched on/off via flipswitch (standard) or footswitch (plus). In addition, the deluxe "Truly Beautiful" version includes a feed back loop and photo sensitive eye. All Ooh La La Manufacturing products are handmade and hand painted in the USA. The Soda Meiser artwork was designed by Jason Myrold. Source Audio Soundblox Tri-Mod Wah Source Audio announces the availability of its new line of Soundblox effects pedals. Seymour Duncan Power Grid Distortion In a new effort to expand its effects pedals range, Seymour Duncan released the Power Grid Distortion. Gibson Joan Jett Signature Melody Maker Gibson has announced the release of the Joan Jett Signature Melody Maker, an electric guitar designed and produced in close cooperation with the rock legend herself.